← Do I have to Read? The sequel comes out tomorrow but today I’m taking a look at Jack Gantos’s autobiographical novel , DEAD END IN NORVELT. Publisher’s description: Melding the entirely true and the wildly fictional, Dead End in Norvelt is a novel about an incredible two months for a kid named Jack Gantos, whose plans for vacation excitement are shot down when he is “grounded for life” by his feuding parents, and whose nose spews bad blood at every little shock he gets. But plenty of excitement (and shocks) are coming Jack’s way once his mom loans him out to help a feisty old neighbor with a most unusual chore—typewriting obituaries filled with stories about the people who founded his utopian town. As one obituary leads to another, Jack is launched on a strange adventure involving molten wax, Eleanor Roosevelt, twisted promises, a homemade airplane, Girl Scout cookies, a man on a trike, a dancing plague, voices from the past, Hells Angels . . . and possibly murder. 1) The main character, Jack Gantos. He’s funny, serious, and a contemplative boy all wrapped up in 341 pages. He’s someone you’d want to be friends with. 3) Its quirkiness. Poison chocolates, Hell’s Angels, nosebleeds, and obituaries. A weird combination that kept me entertained. 4) Jack’s parents. They are so different and like many parents in the early 1960’s, they were just trying to do their best. Answers had to come from within rather than the latest social media site. They want things to turn out right for their boy but approach it from very different perspectives. 5) The humor. It won’t hit home with everybody, but it often caught me off guard and laughing out loud. Who will love this book? Those who like historical fiction hidden in a story with mystery and humor… Girls and boys should gravitate toward the tale of Jack Gantos. Even adults would find this book worth their time. Some reluctant readers though may shy away from its length, but if they treat it like 28 separate stories (chapters), it won’t seem as daunting. 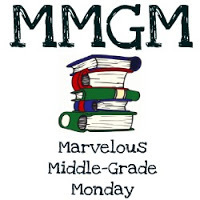 This entry was posted in Reviews and tagged Dead End in Norvelt, Jack Gantos, Middle grade books, MMGM. Bookmark the permalink.